Pete the Cat is back in New York Times bestselling artist James Dean's beginning reader Pete the Cat's Train Trip. Pete can't wait to visit Grandma, especially because he gets to take a train ride to see her! The conductor gives Pete a tour of the train, and Pete gets to see the engine and honk the horn. Pete even makes new friends and plays games on board. What a cool ride! Pete the Cat's Train Trip is a My First I Can Read Book, which means it's perfect for shared reading with a child. 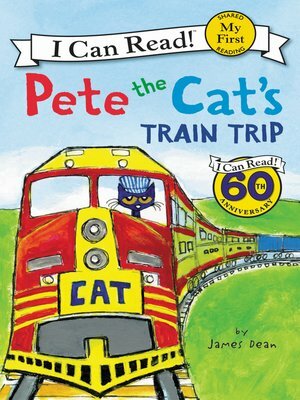 Fans of Pete the Cat will delight as Pete takes the grooviest train trip in this hilarious I Can Read adventure.